Its been a while since I’ve wrote on here or updated the site at all for that matter— largely because I haven’t found the time with my current day to day workload, and time spent on the computer is usually dedicated to landscape/farm design, administrative work, etc. However, I’m making a goal to begin again with periodic updates and postings. There are countless topics, ideas, concepts, photographs, and bits of content I’ve wanted to share for a long time that haven’t gotten out, so hopefully by setting this goal I will be motivated to share some of that material through the website. As life goes in spurts, and as we pass through the various phases of personality, desires, likes and dislikes—certain activities stick with us while others become less valuable or less useful, perhaps permanently or temporarily; as I develop my businesses and continue on my path I find that blog writing, to be quite frank, is not my favorite thing to do, nor a close runner up. What I DO enjoy is sharing what I observe, questions I have, ideas, so on and so forth. When I get emails or phone calls about how a certain video or podcast or article was beneficial to somebody, that is very satisfying and a big reason why I enjoy this work. When I began The Fruit Nut a major impetus was to fill what I saw as a ‘content void’ in the realms of uncommon fruits, genetic diversity, and ecological orcharding. Fortunately these topics are becoming increasingly popular and accessible it seems. My 1 Post a Month Goal will be a way for me to re-engage with the online world and share what I find interesting and of value to those topics. My buddy Grant Schultz of Versaland is always up to some pretty cool stuff, recently he posted a video of a large American persimmon tree he found growing in Iowa. Good fruit set indeed, he even shares the cross roads. Scionwood anyone? Check my American Persimmons for Zone 5 to learn more about these heavenly sugar gems. Beautiful jujubes (Ziziphus jujuba) and English walnuts sent to me from the good folks at Be Love Farm in Pleasants Valley, CA. First year tasting fruit from my ‘MSU’ hardy kiwi vine. Interesting story to come on that, stay tuned. Fantastic info sketch from one of the coolest apple ladies— Eliza Greenman. Looking at the strategies and various approaches for addressing apple tree renovation and management. Check out Eliza’s work on her website and look for future posts on my orchard renovation & topworking project. Every fall hoshigaki is made throughout much of Asia as a way to dry and preserve the delicious Asian persimmon fruit (Diospyros kaki). It’s something I’ve been fascinated with as I explore traditional fruit preserving & processing techniques. These hoshigaki I’m making with store bought ‘Hachiya’, astringent persimmons and, contrary to tradition — ‘Fuyu’ persimmons. More trials and thoughts to come including using D.virginiana and hybrids. This is the real deal folks, we’re talking fruitsciutto! ‘Korean Giant’ Asian pear with notable curculio damage. Brilliant golden ginkgo leaves. The fall colors around here this year have been the best in years. Lee Reich’s most recent post talks about autumn color chemistry amongst other things like our beloved Diospyros AKA ‘fruit of the gods‘, as mentioned above! Stunning crimson foliage on this young ‘Seckel’ pear. Hardy kiwi is a fruit that I’m just starting to become more acquainted with over the past few years— thanks to my generous/nutty friends and colleagues who kindly share their space and knowledge. Not to go on a tangent, but really its folks like Mike Levine, Ken Asmus, Marc Boone, and so many others who have made this path of fruit exploration so much more accessible for me as a young orchardist, and for that I’m very thankful. 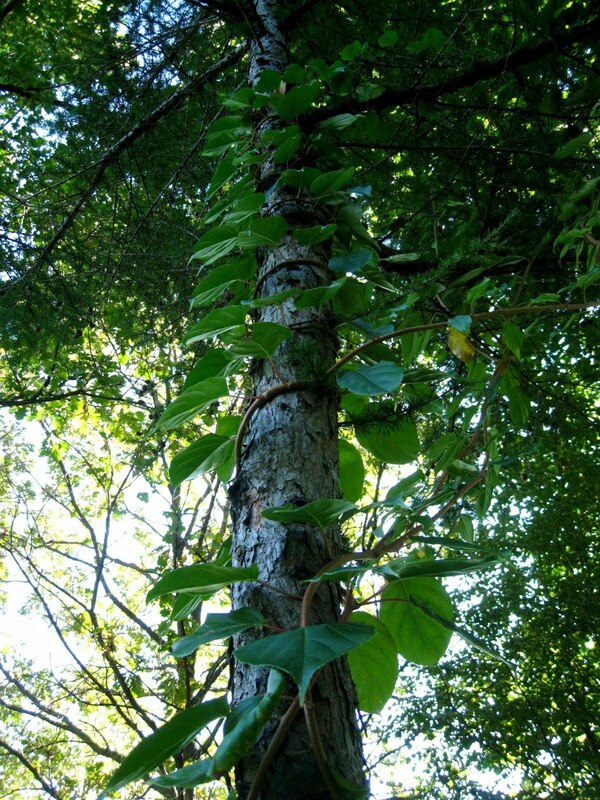 Anyways…Actinidia! Actinidia is the genus for kiwi, the fuzzy kiwi that we all know so well is A. deliciosa, but unknown to most are A. arguta and A. kolomkita, two kiwi species that are reportedly hardy to -25F. Hardy kiwi fruit however is approximately grape size and entirely fuzzless, unlike the supermarket kiwis most people know. So you can just pop ’em in your mouth whole, and their flavor is truly exquisite; many people, including myself, claim they have much better aromatics, sweetness, and overall flavor than the fuzzy kiwi. Out of all the uncommon fruits, like pawpaw, black currant, and jujube, to name a few— hardy kiwi seems like one that really has the potential to catch on and to be sought after by the likes of many, not just foody fruitnuts with crazy palates. 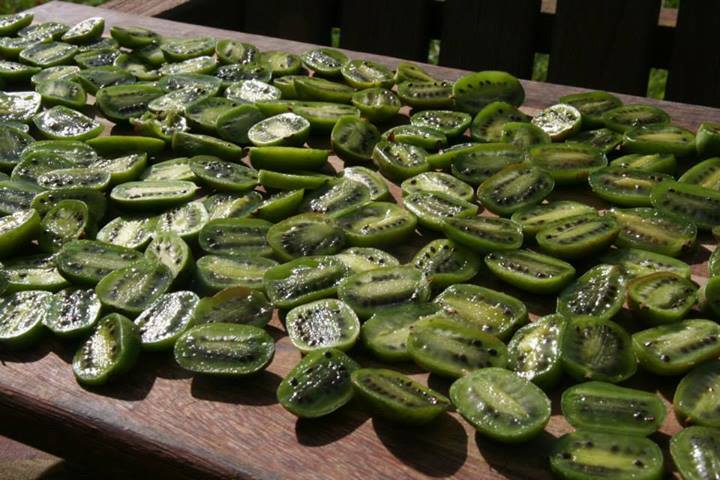 One company, Kiwi Korners, has been successfully growing hardy kiwi as a commercial crop for some time now. 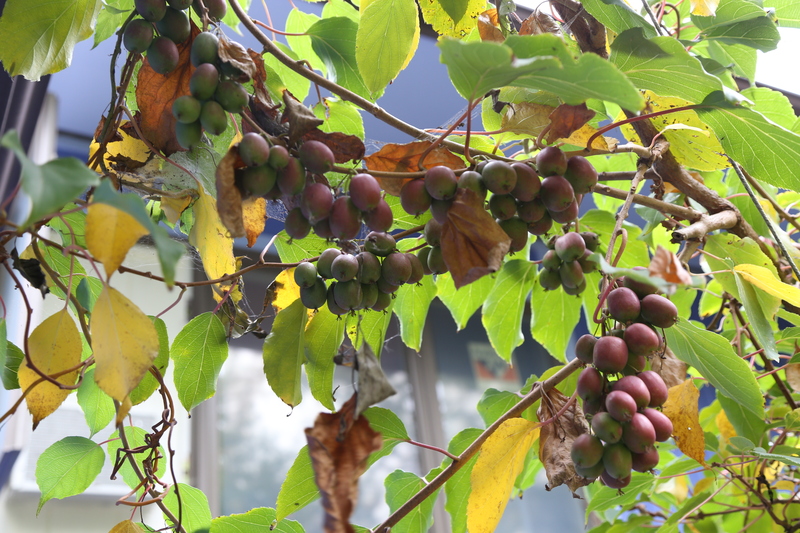 None of my kiwi vines are producing yet, as they can take 5-10 years to come into bearing. DON’T WAIT, plant your kiwi vines today. Another reason I’m so adamant about hardy kiwi is how late they ripen in the season when not much else is available; from a resiliency and season extension standpoint this is prime. One minor challenge with kiwi vines in cold climates is their tender leaf buds want to unfurl very early and they’ll often get zapped by late spring frosts. This doesn’t kill the plant but it certainly sets it back for that season. A well managed vine with high productivity. 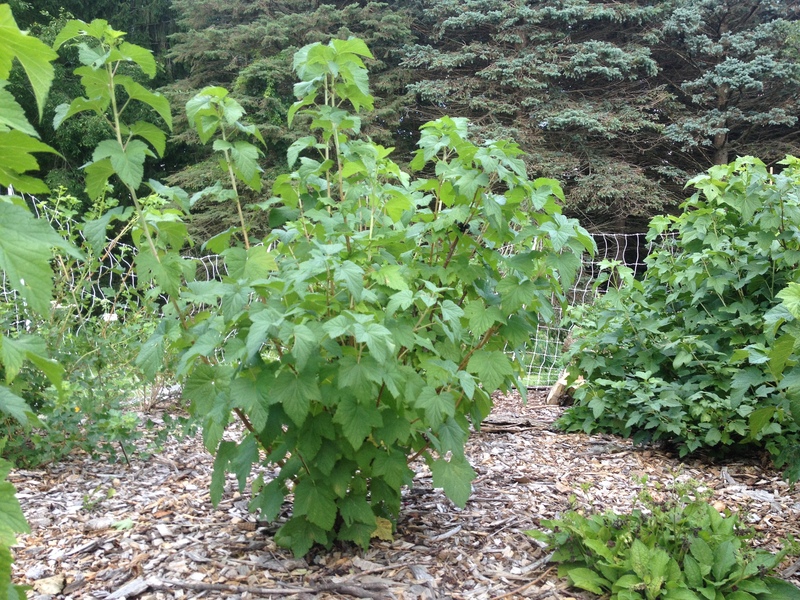 This untrained/unproductive kiwi vine grew up trees and as a tangled mass on surrounding shrubbery. 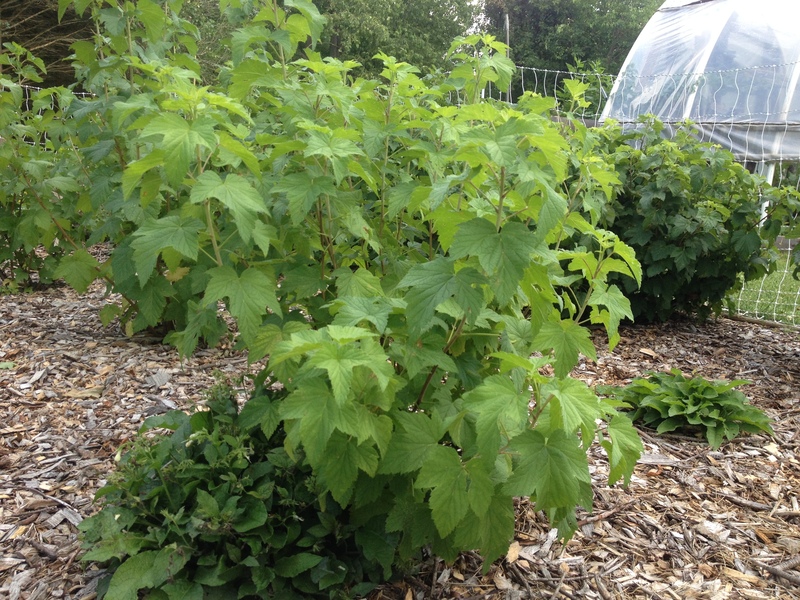 Kiwis grow on vines, similar to grape vines. From my research and explorations thus far, it seems that the key to growing a productive hardy kiwi vine is all about proper training and pruning. 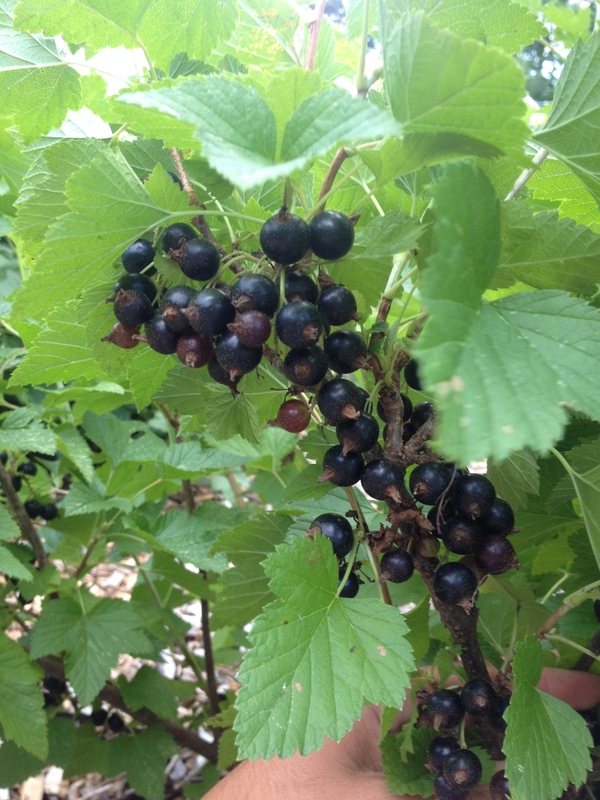 Generally speaking, vining plants inherently want to just grow, grow, grow, and focus most of their energy into vegetative growth rather than flower and fruit development; so as caretakers of the vines there are certain ways we can coax the vines into instead thinking fruit, fruit, fruit. 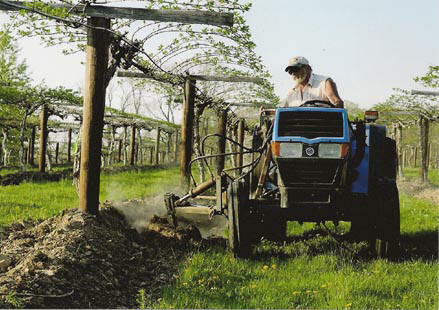 Its called spur pruning. Kiwi vines need annual pruning to develop small fruiting branches known as spurs. In my travels I’ve seen many large healthy looking kiwi vines, but often times their productivity is very low. Now I realize that these plants weren’t managed under a careful annual pruning regime. I am no expert in this field, or vineyard as it were, but I do know people that are so I’ll use this time to plug their expertise. 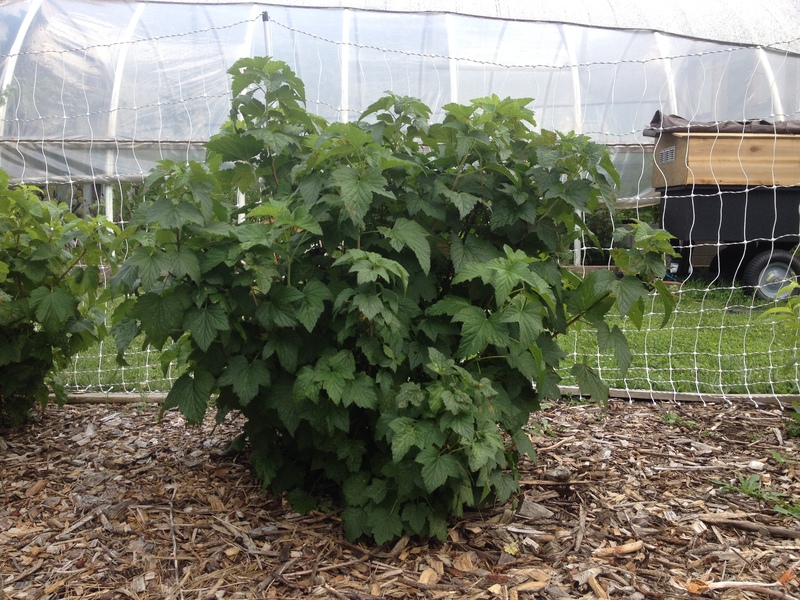 Kiwi vine trained to a single trunk with two cordons growing outward in either direction. 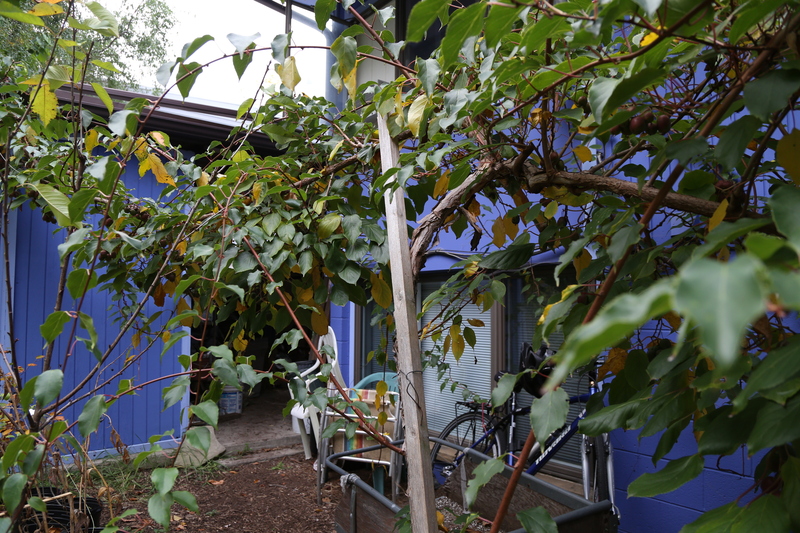 Hardy kiwi grows on the front of the home-studio at the Whole Systems Design Research Farm in Vermont. Lee Reich is one of the upmost authorities on uncommon fruits and has a lot to say about hardy kiwi. 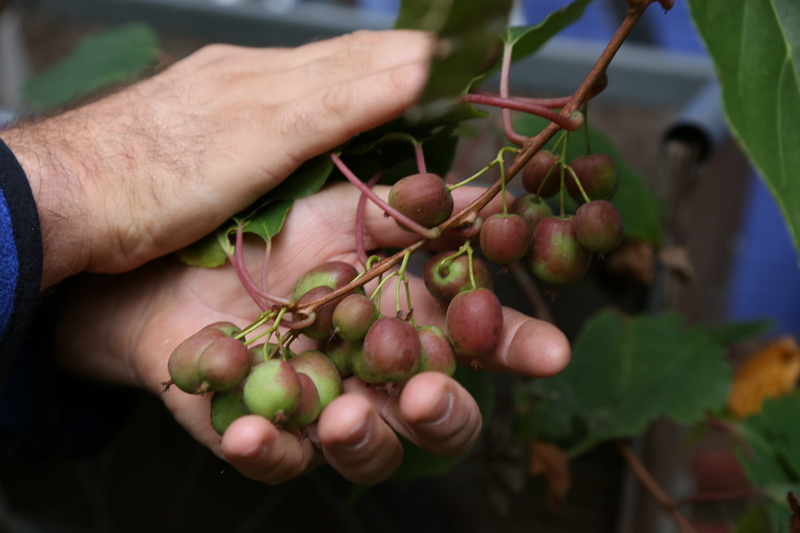 Check out his book Uncommon Fruits for Every Garden to find more on hardy kiwi. If you’re going to plant hardy kiwi(which everyone in the north should ASAP) it seems very worthwhile to take the time to train the vine to develop a single trunk system, and then manage the cordons each years to maximize their fruiting potential. I am so excited for the day that my vines come into production. 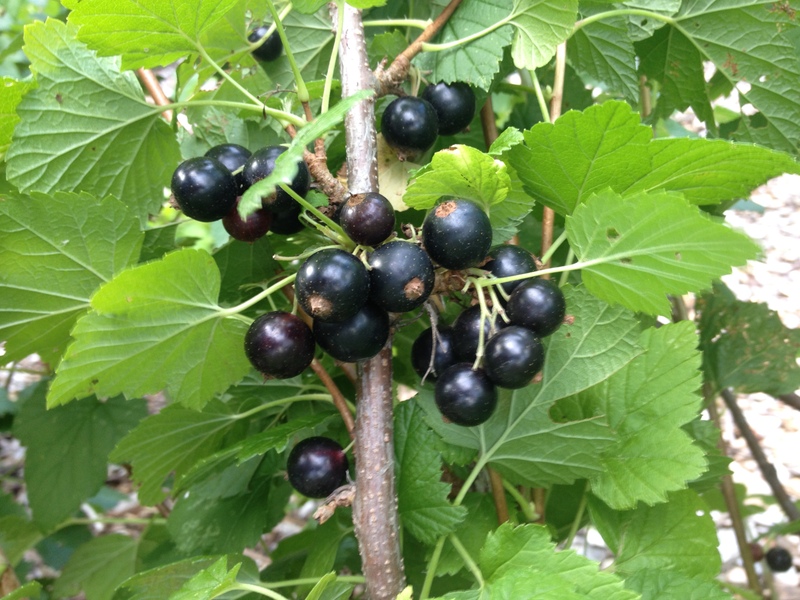 There is oodles of information available on the web about hardy kiwi and the purpose of this post was to primarily talk about the training and pruning techniques necessary for growing productive vines. Visit the nursery links page to find sources for hardy kiwi plants. I’ll be busy dreaming of jars and jars full of kiwi raisins stored away for winter snacking…until next time!! resources. 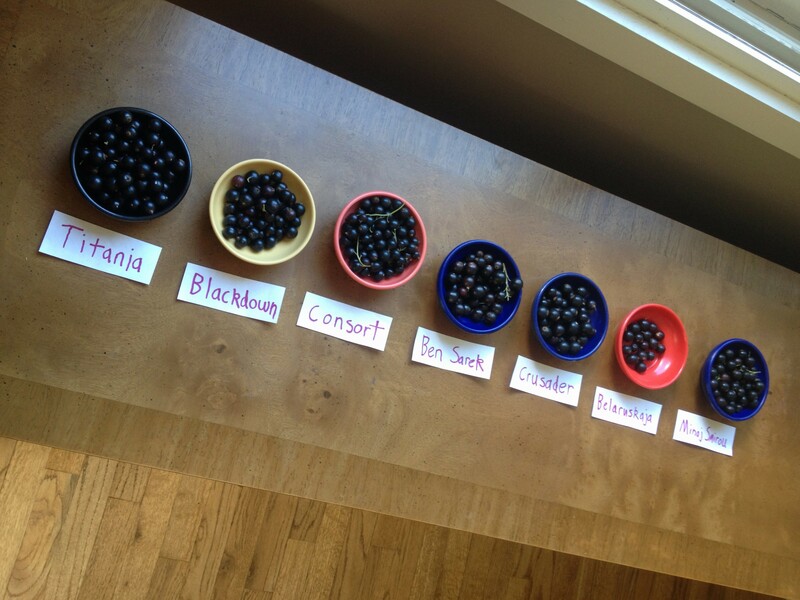 Instead of ‘planting a fruit tree,’ we can think of this integrated approach as ‘planting an ecosystem’. drip line of each tree and generally cut them back for mulch 3-4 times throughout the growing season. love. When goumi and other nitrogen fixers are cut down, their roots respond by releasing a plume of nitrogen into the surrounding soil. 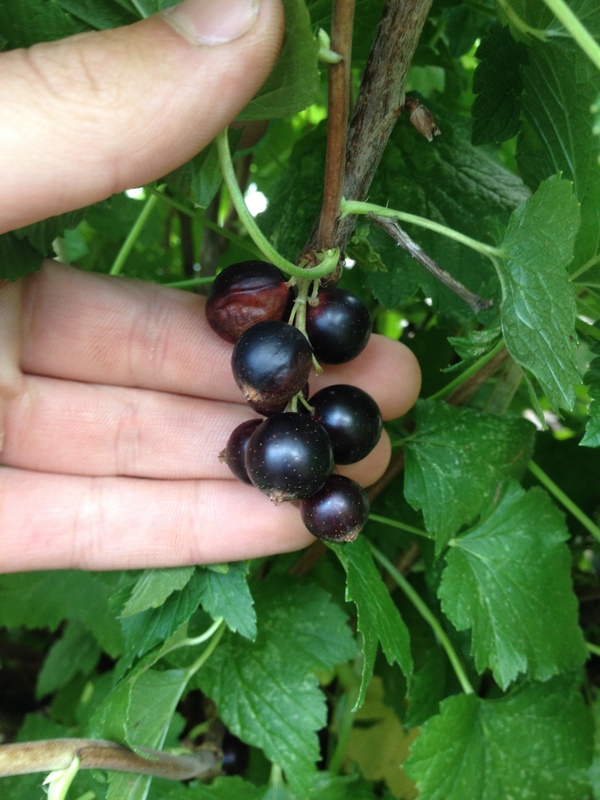 Fruit trees and other crop plants can tap into this fertility source. indefinitely, can tolerate shade, and also serves as a dynamic accumulator. Another class of functional plants are known as insectaries. These are plants that provide fodder for beneficial and predatory insects. By attracting these ‘good guys’ to the orchard we can increase pollination and limit pest outbreaks by encouraging a balance among predator and prey populations. 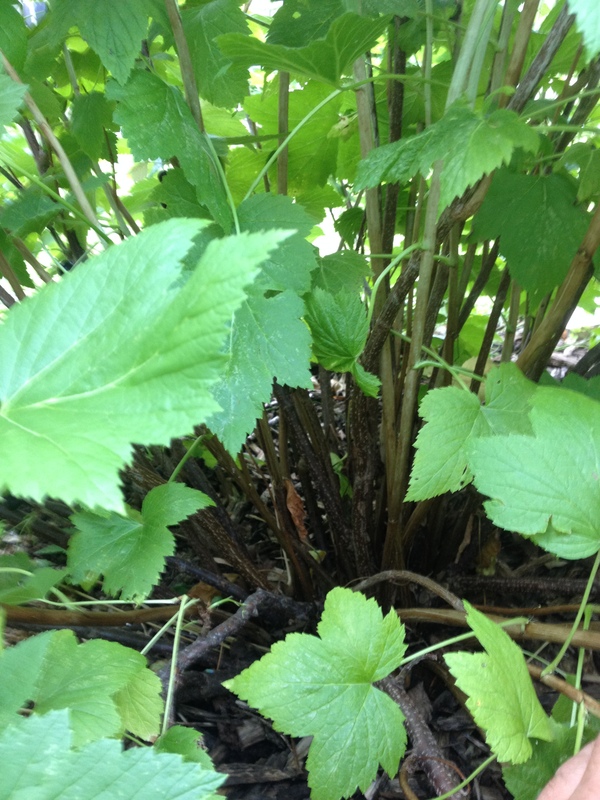 Plants in the Apiaceae family (carrot, lovage, etc.) and plants in the Asteraceae family (yarrow, coneflower, etc.) are especially good at attracting predatory insects like parasitic wasps, lace wings, and lady beetles. Having insectary plants flowering at different times throughout the year ensures that beneficial insects will have a plentiful supply of food and reason to stick around. 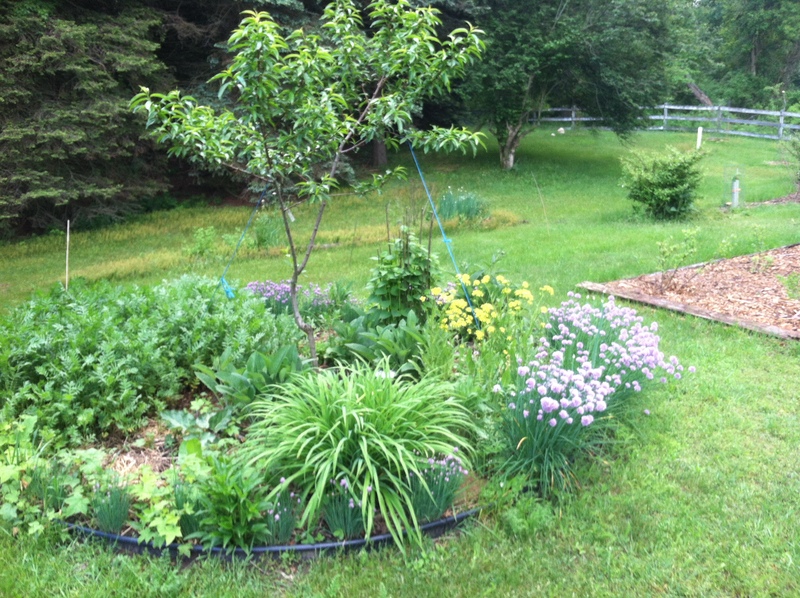 The core of good polyculture design lies in a basic understanding of ecology and plant functions. Polycultures mimic functional interconnections found in natural ecosystems while producing an abundance of yields and reducing off site inputs. 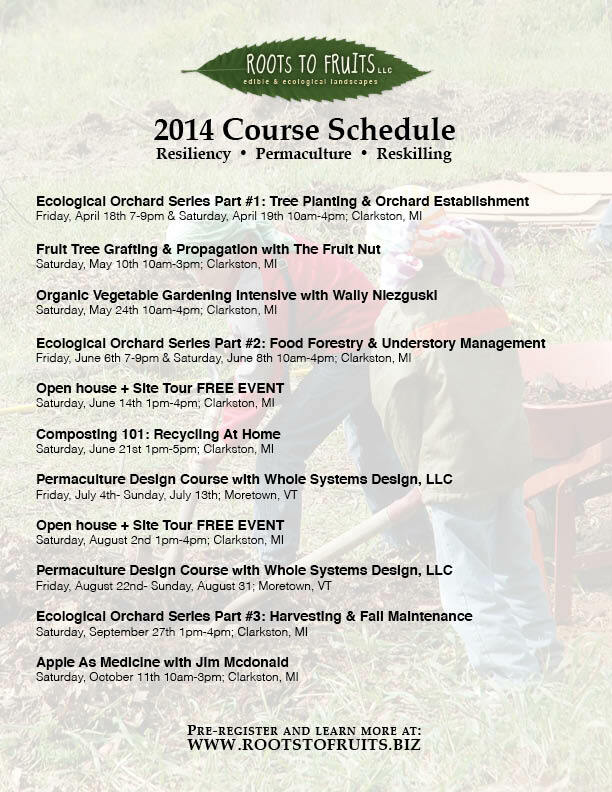 Visit www.apiosinstitute.org to see numerous case studies and find out more about designing fruit tree polycultures. Michael Phillips is an organic orchardist, consultant, and writer who has titled two popular fruit growing books— The Apple Grower (Chelsea Green 2005) and The Holistic Orchard (Chelsea Green 2011). His books have been crucial resources for me in my orcharding endeavors. Both books describe innovative and cutting edge strategies for managing orchards in an ecologically regenerative way that doesn’t rely upon synthetic fertilizers and toxic biocides. The Holistic Orchard DVD guides viewers on a highly informative and visually stimulating tour through a year in the orchard. Phillips takes us around his New Hampshire farm through the four seasons showing many of the happenings of a healthy orchard ecosystem. 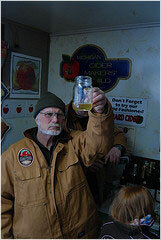 Phillips jovially shares his 25+ years of orcharding experience in over four hours of engaging video footage. 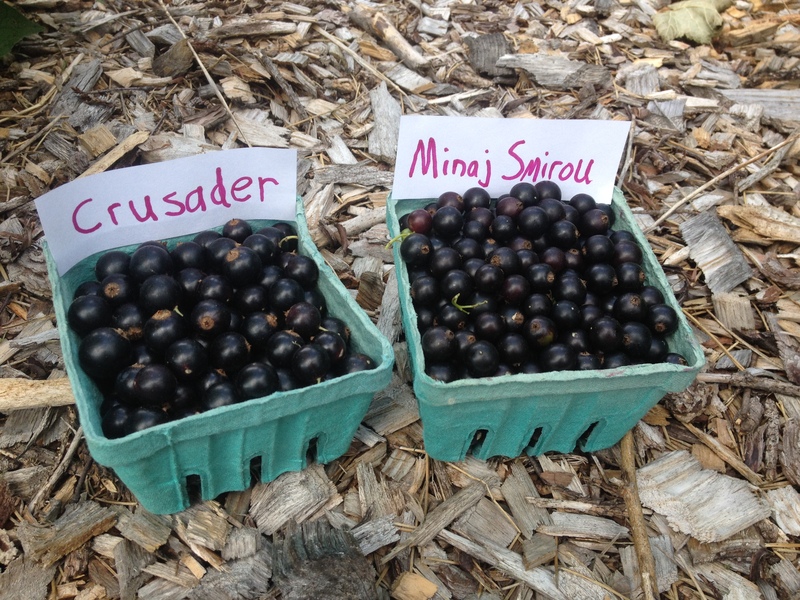 He covers everything from planting and propagation to pruning and harvesting. This instructional video will be an invaluable resource for growers of all skill levels. Phillips lays the foundation for an ecological orcharding protocol that can be replicated and adapted from region to region. He emphasizes an integrated, ‘health based approach’, which like holistic medicine— is all about boosting the health of the entire ecosystem from the fungi and microorganisms to the birds and insects. Phillips goes through the best practices for managing a number of common orchard pests like apple tree borer, plum curculio, and codling moth. Furthermore he breaks down the life cycle of each pest, shows what to look for, and explains when the best times are to intervene in that pests life cycle. 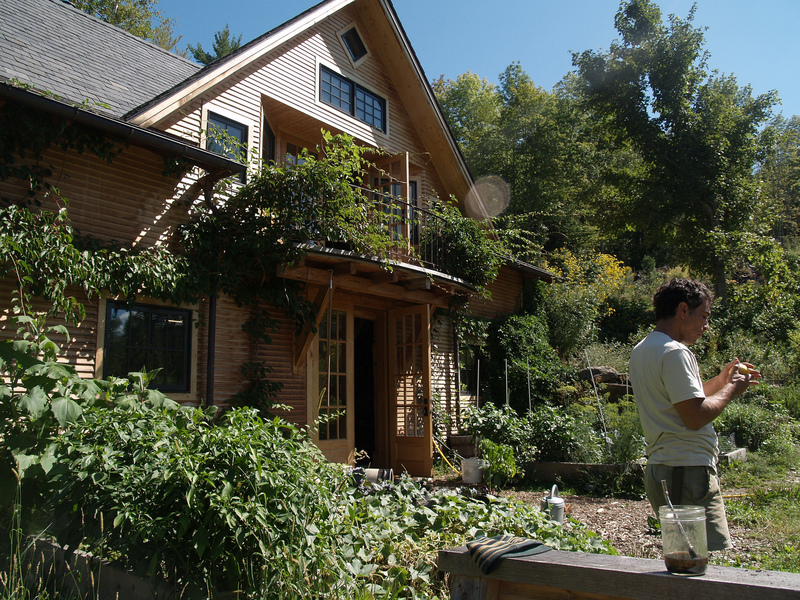 This is the type of detail you will find in the Holistic Orchard DVD. The depth and range of Phillip’s knowledge will surely clarify any hard-to-grasp concepts for beginner and advanced orchardists alike. Phillips not only offers an alternative to today’s conventional, chemical-based orcharding approach, but he presents the information in an exciting and easy-to-digest way that will motivate any gardener or fruit grower to think more holistically. I am grateful for Michael’s contributions to the world of fruit growing and I highly recommend this DVD. Whether you’re dealing with a small backyard orchard, a community orchard, or a production scale farm this video will provide valuable insights. Click here to purchase a copy of the DVD and to learn more about Michael Phillips visit his websites at: herbsandapples.com and groworganicapples.com.